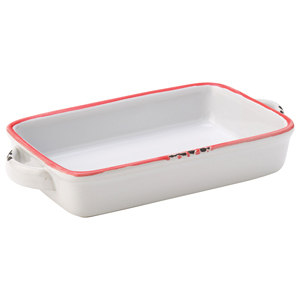 The Avebury White & Red Small Rectangular Dish offers a truly exceptional way to serve rustic style cuisine. With durable stoneware designed to look like enamel, these pie dishes are the retro choice for serving or baking anything! 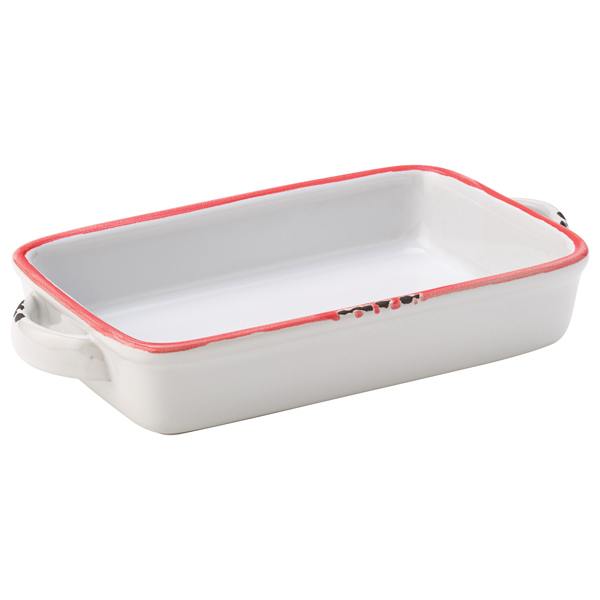 As part of the latest vintage serving trend, these baking dishes are perfect for oven-to-tableware use. Ideal for serving pies, lasagne or pasta bake.